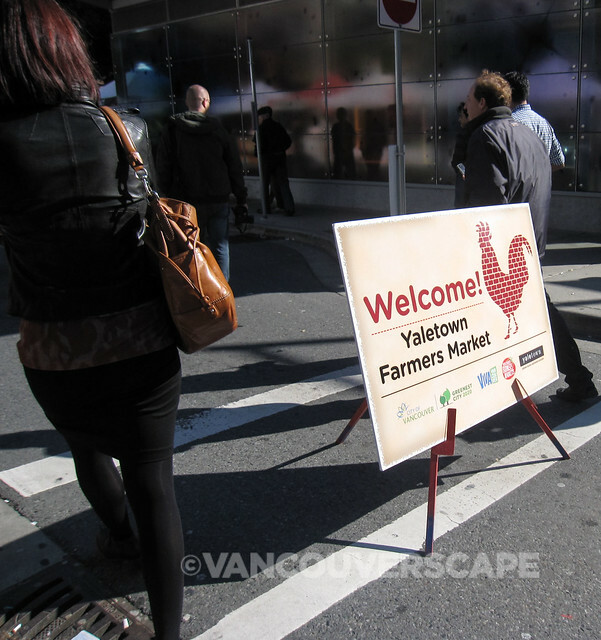 The Ninth Annual Taste of Yaletown has grown to feature over 30 restaurants (31 at last count). Last week, several media were invited by the Yaletown Business Association (Yaletown BIA) on a tour of participating eateries. Our group was hosted at Hurricane Grill for a three-course set menu. For $25, a choice of two starters, three entrees, and two desserts will be on offer from October 16 to 27. 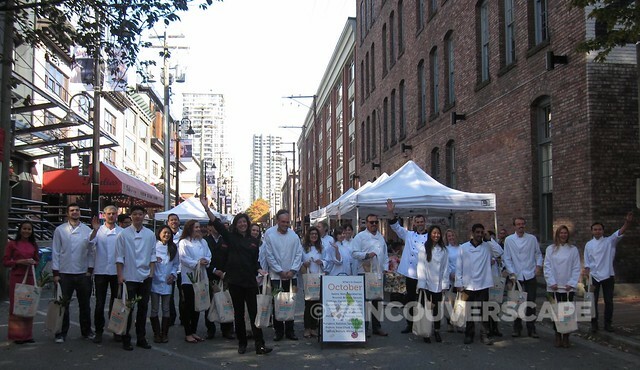 We first made a brief stop at the Yaletown Farmers’ Market, where we were greeted by a group of chefs, each handing us a Farmer’s Market-branded cloth market carrier filled with locally-produced goods for preparing a seasonal leek and potato soup (using Hamilton Street Grill Chef/Owner Neil Wyles’ recipe). The Thursday farmers’ market has been extended to December 19, with an abundant offering of produce, baked goods, and other local fare. Check out the market on the 1100 block of Mainland Street (at Canada Line Station) from noon to 4 pm. 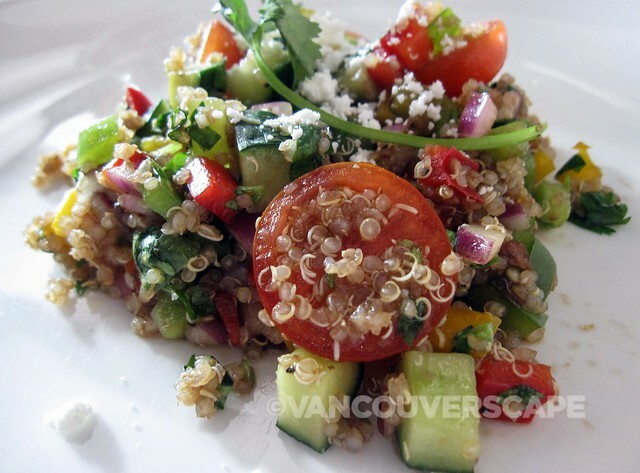 We started with two appetizers: an autumn butternut squash and taro soup, and a warm quinoa salad with veggies, topped with feta in a balsamic vinaigrette. I enjoyed the consistency of the soup, with the taro adding a natural thickener to the texture and consistency. 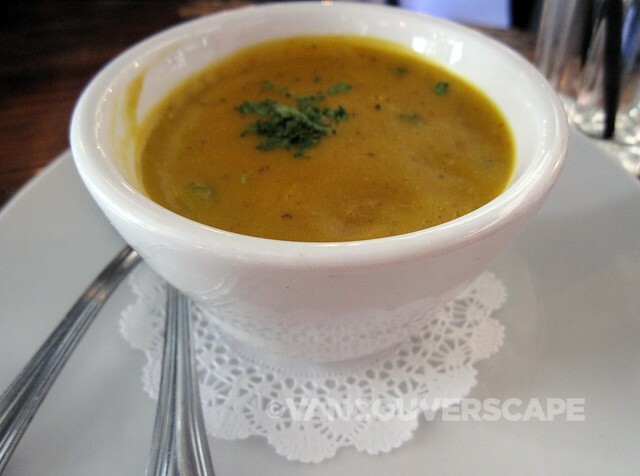 The rich flavour of the squash hit my palate just right with its mild yet hearty seasoning. We had time to sample one of the two desserts: Homemade Chocolate Mousse Cake with a coconut crust, stuffed with profiteroles, and topped with chocolate ganache and roasted almonds. 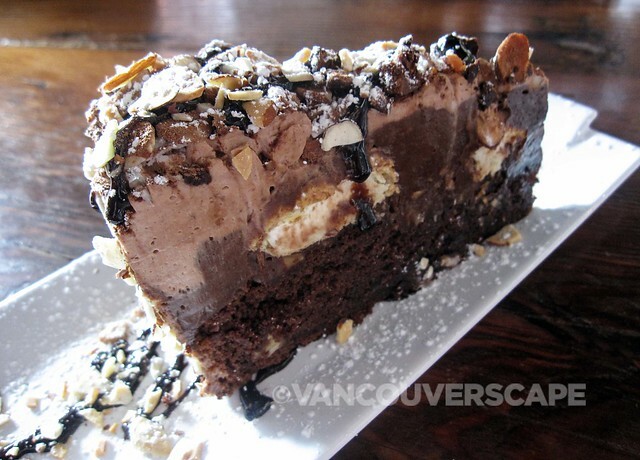 This entirely decadent dessert is also gluten-free. A second dessert, Homemade Apple Raisin Strudel, will be available as well. 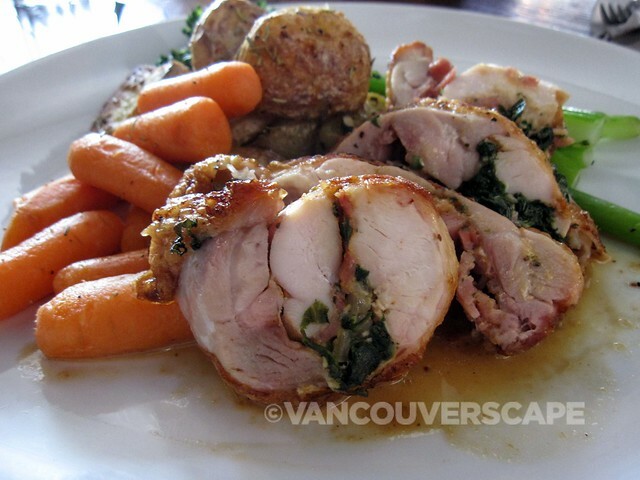 This three-course meal can be experienced with a wine pairing add-on for $15. 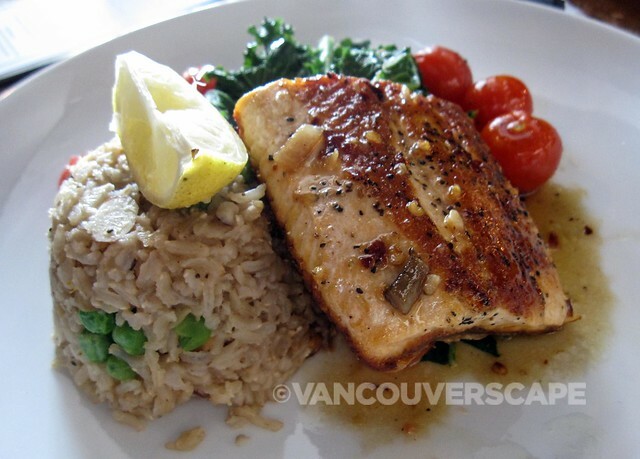 My favourite course was the maple bourbon-glazed, pan-seared Arctic Char, for its delightful, well-seasoned flavours and an excellent portion of kale done just right. Pressed for time and work downtown? A free lunch trolley will whisk away diners from downtown Vancouver into Yaletown on Thursdays and Fridays, October 17, 18, 24, and 25, to explore Yaletown’s varied lunch options. 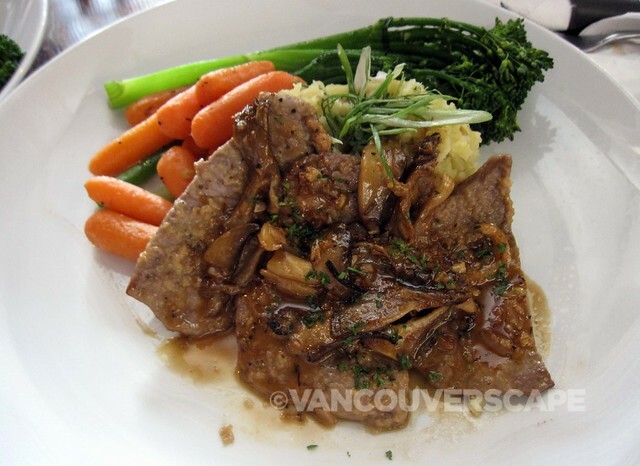 Hurricane Grill is located at 1137 Marinaside Crescent in Vancouver.